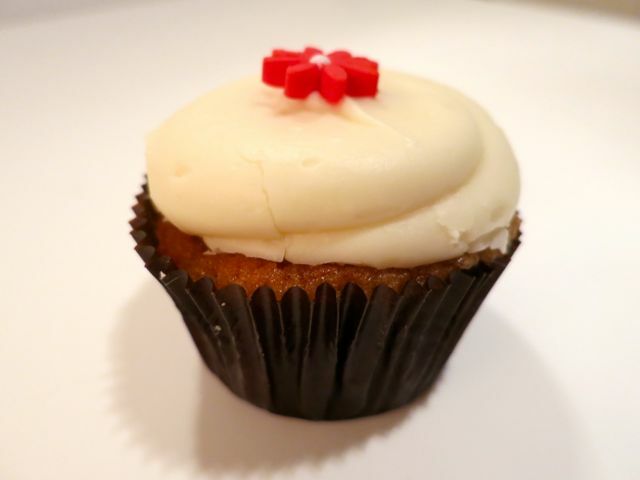 Georgetown Cupcake, the famous cupcake shop in Georgetown in Washington, DC, is finally making vegan cupcakes! I got to try all three flavors at a party -- carrot, apple cinnamon, and cranberry spice. Overall, I was not that impressed. In general, I found the cake part of the cupcakes to either be too dry or too oily depending upon which one I tried. As a result, they crumbled in my hand, which made them hard to eat. The cranberry spice was my favorite of the three. It had a nice flavor, but the texture and density were lacking. I also thought that the ratio of frosting to cake was off for all of them -- way too much frosting. But, the frosting tasted pretty good. 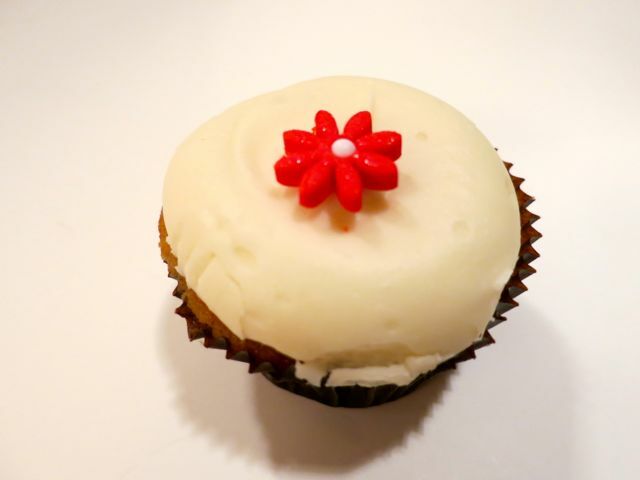 I would say that it isn't likely I'll get any more of these anytime soon for two reasons: (1) I'm not waiting for 30 minutes in a line around the block for a cupcake and (2) Sticky Fingers cupcakes are so much better. 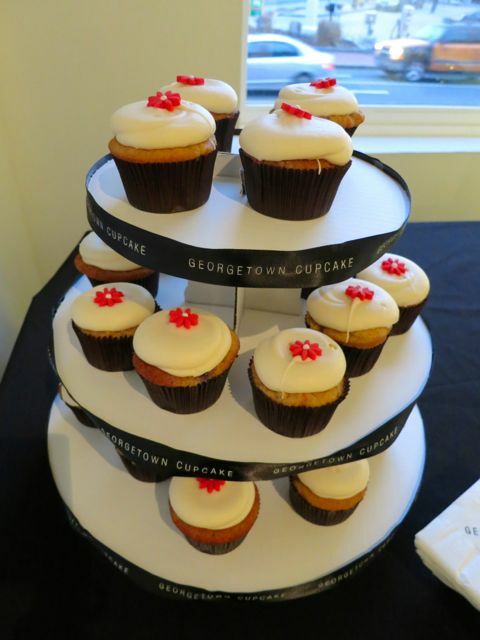 That's not to mention that Georgetown Cupcakes are tiny! They must be half the size of a Sticky Fingers cupcake. So while I'm happy to see they are taking a stab at it, they don't compare to Sticky's. I only hope they stick with it and improve on their vegan cupcakes over time. [ Smiles ] Angela, this is nice. I say, "Yes," to vegan cup-cakes!